For the past 20 years, the highly regulated casino industry has made a dramatic shift from a limited number of select destinations — Las Vegas representing the most famous — to a global industry powerhouse that provides casino entertainment to more customers than at any time in its history. Gaming entertainment and technology, once restricted to a few select places, have over time arrived in countless international markets, U.S. tribal areas, racetracks, riverboat operations, large corporate portfolios and even online mediums. As the era of extreme global growth was beginning, gaming entertainment giant Konami Holdings Corp. (TSE: 9766) established its first casino gaming operation with the launch of Konami Australia Pty Ltd. in 1996. One year later, in 1997, Konami expanded its casino division to what became the global headquarters when Konami Gaming, Inc. was founded in Las Vegas. Since then, Konami’s casino gaming companies have demonstrated success under the leadership of President and CEO Satoshi Sakamoto. Entry into the heavily regulated casino gambling sector occurred for Konami only after it carried out extensive research and investment to realize its vision. “With each new market we examined, there was a great depth of strict regulatory requirements and licensing conditions unique to the individual jurisdiction’s authority. It was a monumental task to become a global supplier for a sector so strongly protected by legislative and governmental control. But today, Konami has secured gaming licenses in 392 locations worldwide, enabling us to responsibly reach the broadest scope of casino players and properties,” Sakamoto said. Konami exercised measured investment and committed to organic growth as its video slot machines and mechanical steppers saw sustained success in the field in part due to the company’s heritage in gaming entertainment. Creative gameplay, captivating sounds and graphics and proven slot mathematics were the core elements of Konami’s earliest casino games. These same components still contribute to the success of Konami games found at casinos today, such as the all new Concerto slot machine, the Rapid Revolver video-mechanical hybrid slot and the revolutionary Titan 360 multistation machine. "As we pursue emerging game development, our organization maintains a focus on creating what we call ‘valuable time’ – that players not simply spend a length of time with our games, but that they experience a premium level of entertainment and delight that goes beyond the minutes on the clock." Just five years after the company’s casino division was created, Konami entered the casino management systems business by acquiring Paradigm Gaming Systems, Inc. and developing industry-leading systems technology. Crucial operational functions such as slot and table accounting systems, player account tracking, and marketing analytics form the reliable backbone for Konami’s award-winning casino management system, SYNKROS, which is being used to manage successful casino operations around the world. Operator partners, including Star Entertainment, Casinos du Quebec, New Mexico-based Sandia Resort & Casino and Barona Resort & Casino in southern California, are among those key companies relying on the strength and advantage of SYNKROS to compete in their markets. The period from 2014 to 2015 marked unparalleled merger and acquisition activity for the casino gaming manufacturer market. Many of the top ten slot suppliers were involved in some form of ownership change. Konami stands in marked contrast, relying on the steady organic growth characteristic of its culture. In terms of annual market share, Konami consistently maintains its top tier position. Tens of thousands of Konami machines are currently operating across the globe largely because of the success of the Podium slot cabinet and the global expansion of its new Concerto slot cabinet. “Our central locations in Las Vegas, Sydney and Japan have empowered us to support the worldwide casino market with our primary objective being the delivery of long-term product quality and service. 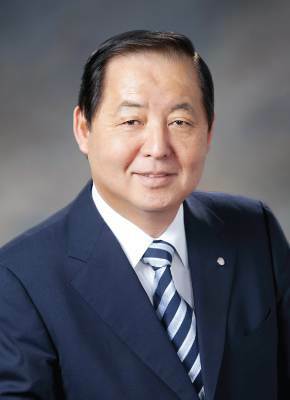 Those enduring values are a primary contributor to the success of our company as a leading gaming equipment and technology supplier,” said Sakamoto. Amid historic regulatory changes in the passage of skill-based gambling legislation in limited areas of the U.S., Konami has expressed its intent to pioneer this new gambling product sector. In the past, Konami Holdings Corp. assisted in strategic projects for its casino division, including the development of the Titan 360 machine, creation of the Advantage Revolution slot, and the introduction of iconic Konami arcade brands such as Frogger to casino audiences for the first time. This relationship becomes very critical as casino operators look to attract new segments of millennial consumers with alternatives to traditional slot products. “As we pursue emerging game development, our organization maintains a focus on creating what we call ‘valuable time’ – that players not simply spend a length of time with our games, but that they experience a premium level of entertainment and delight that goes beyond the minutes on the clock,” said Sakamoto. “Working alongside our customers and parent organization, Konami Holdings Corp., we are well-positioned to simultaneously deliver world-class products in emerging gaming sectors, while continuing to innovate across our library of proven core products,” he added.